Looks like massively funded daily deal sensation Groupon has turned its attention to the budding ecommerce market in Latin America. 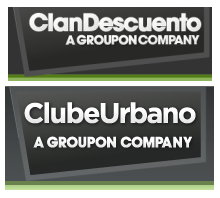 The company has apparently acquired Chilean deal site ClanDescuento and opened a new site called ClubeUrbano in Brazil. We were alerted by Spanish-language press reports and blogs on the former news item, but were ironically made aware of its new Brazilian site through what will undoubtedly be one of its fiercest competitors in the country, freshly financed ClickOn. We’re also hearing not so positive things on ClanDescuento and Needish, the company that launched the Groupon clone in Chile and other Latin-American regions only a couple of months ago – but more on that later. An international management team, formed from the recent acquisition of Berlin-based Citydeal by Groupon, will oversee all Groupon Latin America operations. More expansion in countries such as Argentina, Mexico and neighboring countries are also on the Groupon road map, according to the press release. Not everyone in Chile and beyond is applauding ClanDescuento’s quick exit. High-profile entrepreneur and blogger Mariano Amartino wrote a blog post about the acquisition of the Chilean daily deal service, unequivocally labeling the service ‘Spamdescuento’. Basically, Amartino – and other commentators who have contacted us and commented on the news stories – allege that ClanDescuento has built up its user base almost entirely through aggressive and not so kosher acquisition tactics (aka spamming). Obviously, it’s hard to confirm that this is in fact the case, but the general sentiment among pundits familiar with Needish and the market in general seems to be that Groupon fell into a trap by buying ClanDescuento from the Chilean company. Of course, since we don’t know how much the Chicago-headquartered startup paid (if at all, could be another type of deal), Groupon now has a starting point for further expansion in Latin America. It sounds like they are very much intent on using the name ClanDescuento for upcoming launches in other Latin-American cities and countries.